A behind-the-scenes study, Politico contributing editor Joshua Zeitz researches the Lyndon B. Johnson’s presidency and the White House staffers fundamental to the administration's successes and failures. ...a fascinating look at the White House aides who turned Johnson's sprawling visions into a reality that forever changed the United States ... It would be easy for a book like Building the Great Society to turn into a jumble of names, numbers and acronyms, but that's a trap Zeitz deftly avoids. To be sure, he's a policy wonk, but he's also an engaging author — there's a lot of information in the book, but it never descends into inside-baseball nerdery ... Building the Great Society is endlessly absorbing, and astoundingly well-researched — all good historians do their homework, but Zeitz goes above and beyond. It's a more than worthwhile addition to the canon of books about Johnson. 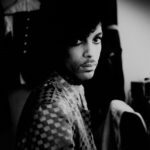 The programs addressed education, health care, civil rights, urban problems, rural poverty, transportation and even media offerings: It was the Great Society that created public television and radio. Thus Lyndon Johnson could be said to be the progenitor of Sesame Street, as Joshua Zeitz reminds us in Building the Great Society, his well-researched and readable history of a vast governmental effort to make America anew ... In large part, Mr. Zeitz’s story is a group portrait of the aides who helped the president realize his grand project ... Even so, Johnson is the dominant figure in the story, his overpowering personality evident throughout ... In the end, Mr. Zeitz concedes, the Great Society failed in many ways. It didn’t 'save urban America from blight or depressed rural areas from further decline.' Indeed, it 'disappointed liberal aspirations and only confirmed the worst of conservative fears.' Still, he notes, it is hard to imagine the U.S. today without the initiatives that Johnson set in motion. Zeitz, an editor at Politico, has conceived of his book as a kind of political version of an NFL instant replay. Anyone reading it will learn who was involved in what decisions, the nature of each player’s relationship with LBJ, how they did or didn’t work together, and what it was about each player’s contribution, their foresight or shortsightedness, spelled success or failure ...a wonk’s book ...this is a book about the most colorful and profane and impassioned of presidents that has nothing in the way of humor or drama — or, for that matter, good common dirt ... Zeitz’s interests are not those of a storyteller, a prober of the nation’s soul, or even a psychobiographer of the president at the heart of these changes. Even with only a little more than 300 pages of text, Building the Great Society has the feel of someone filling out an evaluation. 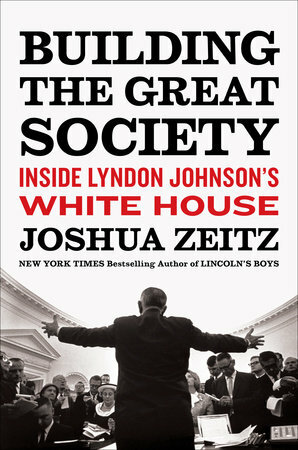 What did you think of Building the Great Society: Inside Lyndon Johnson's White House?